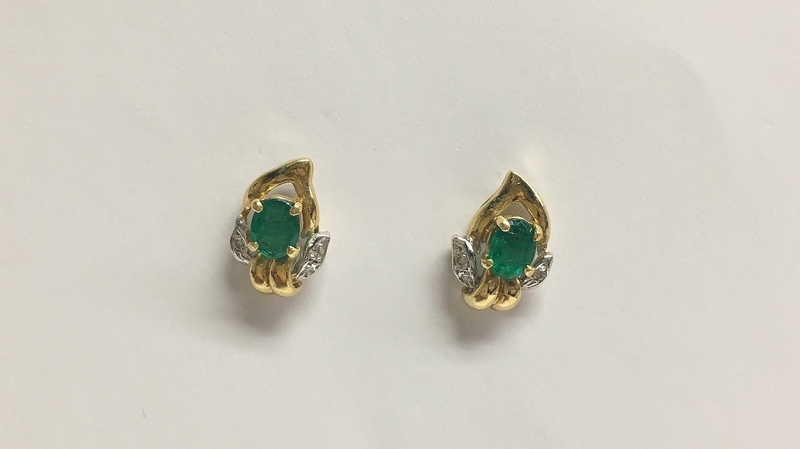 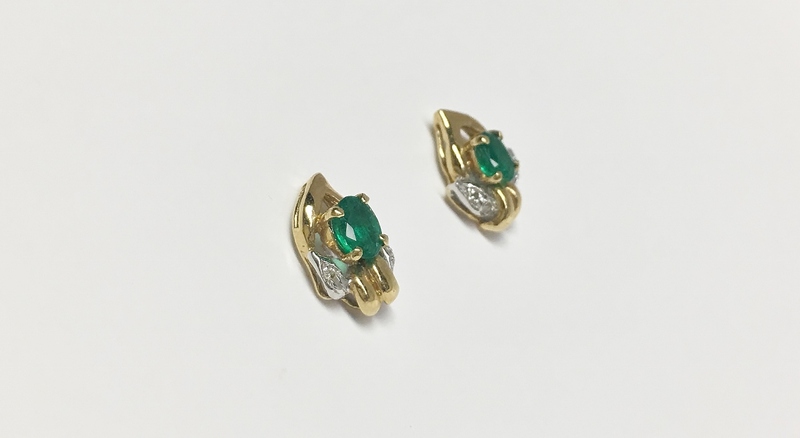 A pair of 14K white gold and yellow gold pierced earrings mounted with 2 oval cut emeralds weighing approximately 0.80 carats total weight. 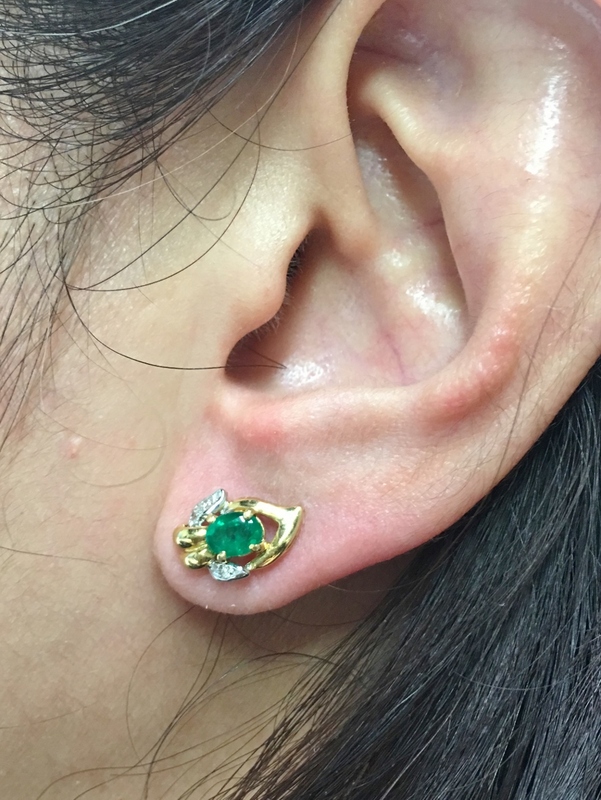 The earrings are also accented with 6 small round cut diamonds weighing approximately 0.10 carats total weight. 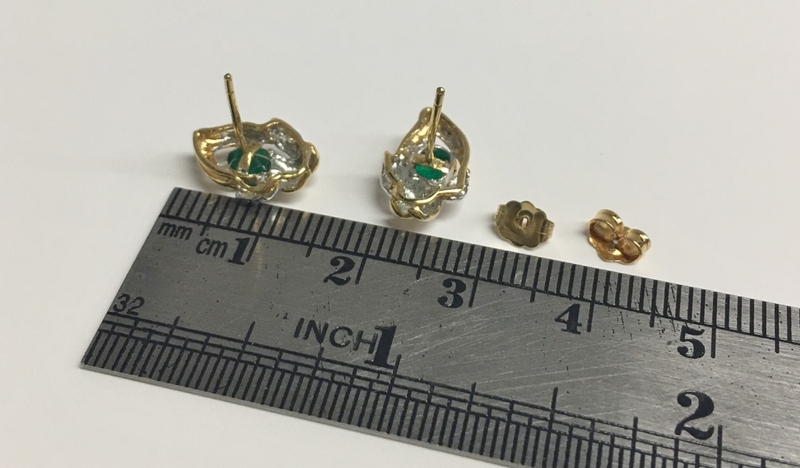 The earrings weigh approximately 2.10 grams.